Adequate water intake is essential during pregnancy to feel good, think clearly, for the body to operate as it should, and to grow a healthy baby. If you’ve never thought about it before, now is the time to think about how much water to drink when pregnant. 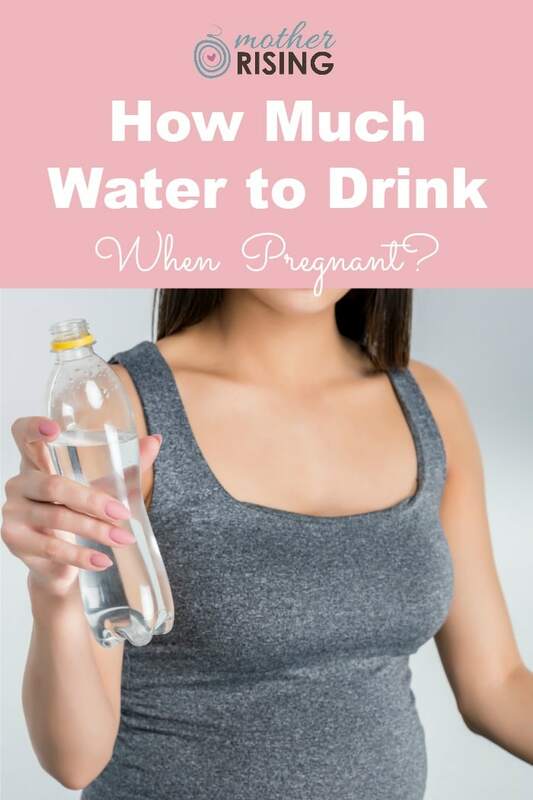 So… how much water should a woman drink when she’s pregnant? Let’s dive in (pun intended)! How Much Water to Drink When Pregnant? The Academy of Nutrition and Dietetics recommends women to consume 3 liters of fluids per day coming from water, beverages, and food. This is a little more than three quarts per day. 2.3 liters (approx 10 cups) of this needs to come from beverages, which is around 2.5 quarts of fluids. of fluids from beverages, daily. Now that we know how much water to drink when pregnant, let’s talk about tips and tricks to make hydration happen. A good litmus test for hydration during pregnancy is to look at your urine. If it is clear or very light yellow, you’re well hydrated. Anything darker than that, and you need to drink some water! If you’re at home most days, every morning fill three quart sized mason jars. Leave the water jars out on the counter if you like room temperature water, or in the fridge if you like it chilled. Aim to empty all three by early evening. If you’re out and about throughout the day, make sure you always carry a water bottle on your person. I like this brand! Figure out how many times you would need to refill your water bottle throughout the day to reach your daily required water needs. Put that many rubber bands on the water bottle. 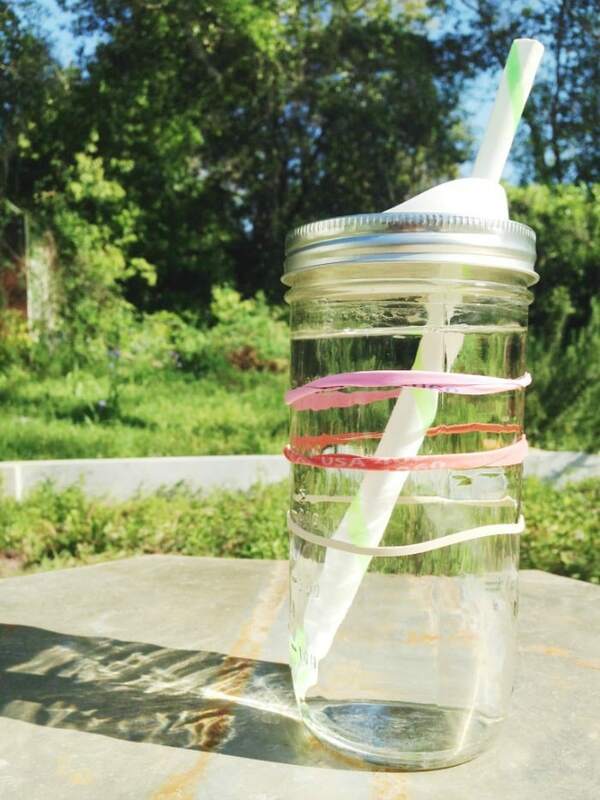 Each time you empty your water bottle, remove one rubber band. Your water bottle should be rubber band free by early evening. Cut off fluid intake in the early evening to reduce trips to the bathroom at night. Just for fun, experiment with adding slices of citrus, cucumber, mint leaves, and/or berries. A delicious treat! If you are experiencing braxton hicks contractions, they could be caused by dehydration. Rest, hydrate, and see if they go away. If not, call your care provider. Did you know that dehydration makes morning sickness worse? Much worse. Dehydration is the enemy when dealing with morning sickness, just like in labor. If drinking room temperature water turns your stomach, very cold and/or icey water makes a huge difference. Try adding a few slices of lemon to your ice water. The lemon coupled with the cold water will really help you to start feeling better! Electrolyte cubes are a fun and aesthetically pleasing way to stay hydrated. Check them out! If you’ve been vomiting and haven’t kept anything down in awhile, you may need to contact your care provider. Your morning sickness continues into your 4th month of pregnancy. You lose more than 2 pounds. Your vomit is brown in color or has blood in it. You vomit more than 3 times a day and can’t keep food or fluids down. Your heart beats faster than usual. You’re making much less urine than usual, or no urine at all. The summer can be challenging for pregnancy when it comes to staying hydrated. Here are some tips to staying well-watered even in the hottest months of the year. Don’t wait for the feeling of thirst to start drinking water. Often times, if you’re feeling thirsty you’re already dehydrated. Always make sure you have a beverage wherever you’re going. Plan for success! When outside and sweating, increase your fluids accordingly. Try a drink with electrolytes like ice cold coconut water. It’s delicious and good for you too! Electrolyte cubes are perfect for summer. Put a watermelon in the fridge, let it chill, and then eat to your heart’s content. It’s one of the most hydrating fruits out there! According to Multiple Births Canada, women are advised to meet singleton pregnancy hydration guidelines (2.3 liters, approximately 10 cups, or 2.5 quarts of fluids) at minimum when pregnant with twins. However, listen to your body for it is wise. If you are thirsty, drink. If your urine is yellow, keep drinking. If you can’t seem to stay hydrated, consider a hydration backpack. Seriously! A friend of mine was better able to stay hydrated with one of these things when she was pregnant with her twins. 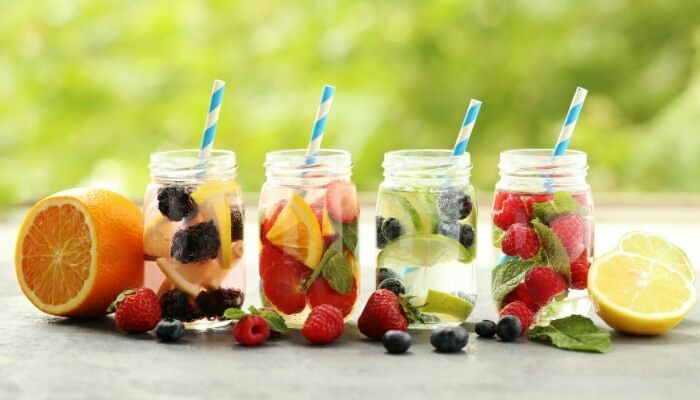 Do whatever you have to do to stay hydrated. It’s so important! For all you mamas out there that are pregnant AND breastfeeding, you have your work cut out for you. 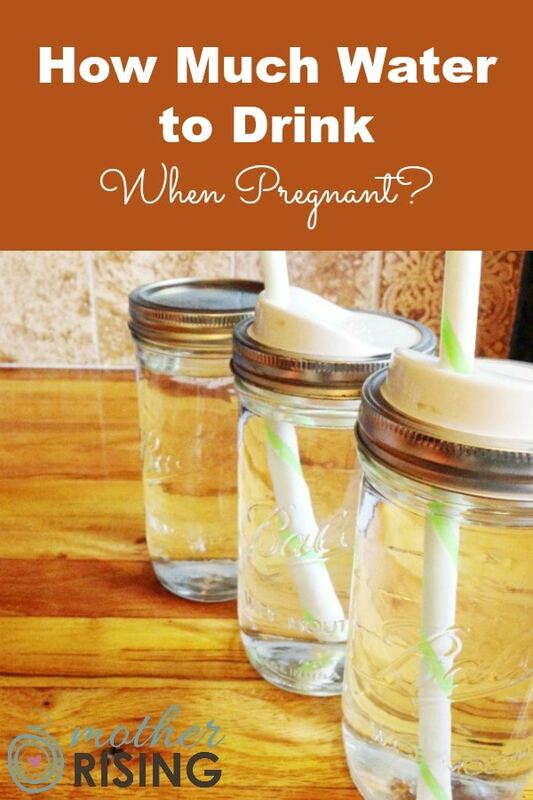 In my opinion, and this is just mama-to-mama advice, your water intake should mirror that of a woman pregnant with twins. Start by meeting singleton pregnancy hydration guidelines (2.3 liters, approximately 10 cups, or 2.5 quarts of fluids) and then increase fluids according to thirst and the color of your urine. If your “born baby” relies heavily on breastmilk for their daily nutrition, you’re likely going to be drinking more fluids than those who only comfort nurse their toddlers to sleep in the evening, if you know what I mean. Always, always, have a drink nearby. Your body is working hard! Give it the fuel to make it happen. To read more about how much water to drink when breastfeeding, hop on over here. Leave a comment and let us know your best tips and tricks to staying hydrated while pregnant. Thanks! I am 4 Months pregnent, i drink 2 liters of water, should i increase my water intake , as i am working women i have to pass my urine every 10 or 15 mins . I would observe how thirsty you are and the color of your urine in addition to the ounces of water you’re drinking. Hope that helps! Hi Lindsey.am pregnant of 9weeks,when I drink water I feel like I have taken a lot of pills,!!! I try to drink water every now and then – before going to sleep, after I wake up (Studies say that water can help to restart our organs), and during my meals. Currently, I don’t track my water intake, but I am going to start doing it. As tracking is the only way we know for sure whether we have accomplished our goals. I don’t have a measuring cup, so I am just going to try and finish my bottle 3 times a day (that will get me close to my daily intake needed :D). Anyways, thank you for the comprehensive post Water has so many benefits and yet many of us forget to drink enough of it everyday and most of us are not aware of what our daily intake should be.